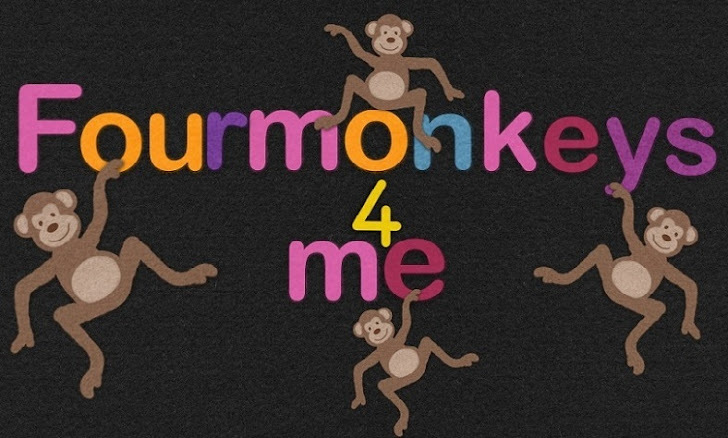 Four Monkeys 4 Me: So, I got an email this morning. In accordance with the law of the state of Connecticut, I hereby demand that you cease and desist the false and defamatory statements that you are making about me in your e-mail postings and on Twitter, Facebook, Internet blogs, and in other public places. You made them maliciously to injure me and cause harm to my business relationships. I hereby demand that you publish a retraction of these false and defamatory statements in all the same places that you published your defamatory statements about me, and that your retraction and correction be accompanied by a specific repudiation of your libelous statements.Your Twitter, Facebook, Internet blogs, and other public postings and conduct also constitute tortuous interference with my business and contractual relationships. As such, they are actionable and expose you to the imposition of compensatory as well as punitive damages.Among other things, you have publicly accused me of: (1) stealing money; (2) using money donated to help special needs children for my own personal expenses; (3) being a computer “hacker”; (4) committing adultery; and other similar statements that are completely false.Many of these false statements have been previously brought to your attention. Your failure to correct your erroneous and false statements and their repetition after notice of their falsehood constitutes further publication of libel. It also confirms your malicious intent. 1. Immediately remove from Twitter, Facebook, and any/all of your blogs, websites and other public places on the Internet and elsewhere any and all defamatory and disparaging remarks regarding me made by you. 2. Immediately cease and desist publishing further defamatory statements about me, whether such statements are made by you or third parties. The statements made in reference to me are utterly false and without merit, and they are defamation per se in that they depict me as engaging in fraudulent activity that violates civil and criminal law. If you fail to comply with this demand by January 31, 2012, I will have no choice but to turn this matter over to legal counsel, and direct that they pursue all legal causes of action, including the filing of a lawsuit to protect my interests. I will pursue both damages and attorneys’ fees and costs incurred by me as a result of your actions. I look forward to your public retraction. Now... am I crazy or did I name a Gary James? I've mentioned an a4cwsn (a FACEBOOK page), no Gary James. I also said nothing related to fraud in my previous blog post or adultery. Or maybe I'm just blind? Seems like someone is a little upset that he cannot silence us special needs parents who see his bullying for what it is. I will never cease and desist in posting what I believe to be true and factual things. Good for you for standing up for what you think is right, and going out of your way to try to protect special needs families -- even those who would deny that they need any protection. If all special needs parents were like you it would be a much stronger community. I don't remember you EVER mentioning anyone by name. I'd say someone is feeling a bit trapped by guilt.